John Alexander Kress was born November 04, 1839 on a farm in north-central Pennsylvania. In 1847 he accompanied his parents westward to Indiana Territory. Then in 1858 John received an offer of an appointment to West Point. When the Civil War started, Kress resigned, in October 1861, only a few months from graduation. A West Point classmate recommended Kress to General James S. Wadsworth of the New York Volunteers. Kress served as a First Lieuenant, 25th New York Infantry and Aide-de-Campe to Wadsworth from October 31, 1861, to July 9, 1862. From July 9 to November 1, 1862, Kress served as a Major with the 94th New York Infantry and until November 24, 1863, as Lieutenant Colonel of the same regiment. Lieutenant Colonel Kress commanded the 94th New York Infantry at the Battle of Fredricksburg, December 13, 1862. For his bravery and heroism in that battle, Kress was recommended to the President of the United States for bestowal of the Medal of Honor, by surviving every officer of the Regiment. In 1925, Kress was awarded a Citation, with a Silver Star for gallantry in action at the battle. Kress was also recommended for citations for action at the Battle of Gettysburg. John Kress was commissioned a Second Lieutenant of Ordinance in the U.S. Army on November 24, 1863. There followed regular promotions to First Lieutenant, July 16, 1864; Captain, June 23, 1874; Major, January 3, 1887; Lieutenant Colonel March 5, 1900; Colonel, August 17, 1903; and Brigadier General, August 16, 1903. 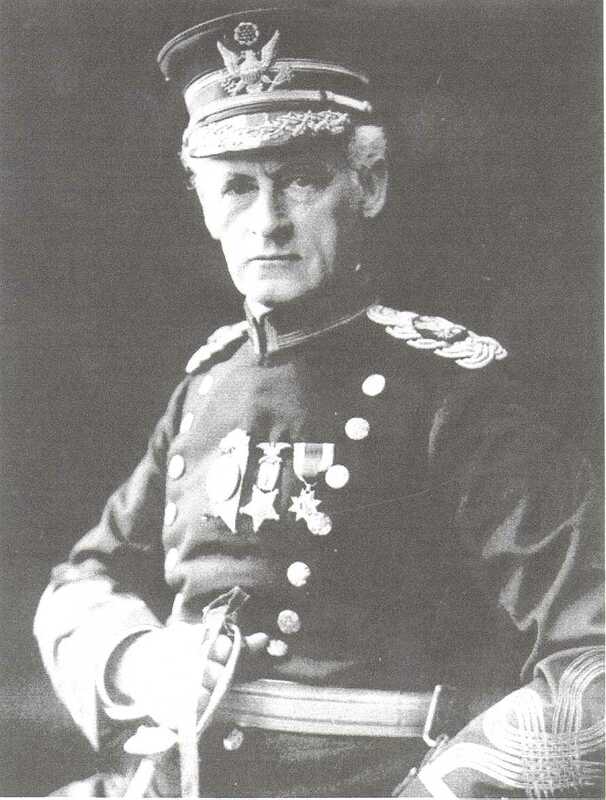 General Kress was placed on the retired list August 17, 1903, with over 40 years of service. For a number of years he was in charge of Jefferson Barracks. Kress continued to make his home in St. Louis after retirement. During his early retirement Kress served as Grand Marshall of the World's Fair in 1904. His son remembers his father rode a white horse at the head of the parade. General Kress died July 3, 1933, at Walter Reed Army Hospital in Washington, DC, and was buried at Arlington National Cemetery. John Alexander Kress, BGen USA, was elected a member of the MO Commandery of MOLLUS June 02, 1900, Insignia #12915. His son Clarence Cameron Kress, Capt. USN, was elected a hereditary member of the MO Commandery of MOLLUS February 01, 1918, Insignia #17845. Clarence's MOLLUS membership medal is on display at Jefferson Barracks. The Distinguished Service Cross is presented to John A. Kress, Captain, U.S. Army, for extraordinary heroism in action near Umatilla, Oregon, July 8, 1878.